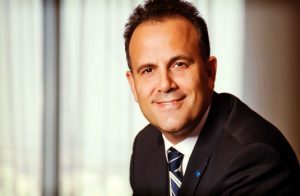 Share the post "Onwards and Upwards: Les Roches alumnus Omer Kaddouri takes the helm at Rotana"
Congratulations to alumnus Omer Kaddouri (Class of ‘86) on his appointment as President and Chief Executive Officer for Rotana. Omer has worked in Rotana for 15 years, and has played a pivotal role in its development and reputation as one of the leading hotel chains in the Middle East region. Rotana is one of the most interesting hotel chains to emerge from the Middle East. Not just because of its level of success and ambitious expansion plans beyond the Middle East, but because the philosophy that is a major factor behind this success is so beautifully simple. It’s all about people. And about colleagues as much as customers. Omer has spearheaded the creation and implementation of a graduate development program called The Accelerated Refinement of Talent (TAROT). It is no surprise that this program has people at its heart and that a Les Roches student is due to start there shortly. Ms Nidhi Rao, who completed the Bachelor of Business Administration in International Hotel Management with a specialization in entrepreneurship, has been appointed as TAROT Revenue Participant, assigned within the Rose Rayhaan by Rotana in Dubai. ‘The TAROT program is an opportunity for these guys to join a forward-thinking company that is growing quickly on a global platform. If they do well in 18 months, their input is recognised, they can jump into a higher position with more responsibility sooner than they would otherwise expect. It is a great adventure, a possibility in 18 months to prove themselves, to be recognised faster. We give them a lot of our time. We believe they will be the superstars of the future. Progressing quickly to an assistant director role of a department, for example, Food and Beverage or Front Office, sets them up well for the future. We want to recognise their talent, give them the stage to perform to their best. It’s important, of course, to realise that just because Rotana is about people, that it doesn’t mean it’s an easy ride. The company espouses two other characteristics that are also central to Les Roches’ philosophy: entrepreneurialism and creativity. These imply hard graft. People. Entrepreneurialism. Creativity. These are in the business DNA of Rotana, but are also characteristics at the heart of Les Roches. It is with great pride, therefore, that Les Roches can count Omer as one of its alumni, and witness his career going from strength to strength.